The MelanoLyte Skin Brightening System was uniquely formulated to help reduce the visible appearance of dark spots on the face, décolleté and hands. Here are five reasons why the system may be a good solution for you. Botanical ingredients in MelanoLyte Skin Brightening System work synergistically to help reduce the visible appearance of dark spots. These results are clinically proven in multiple studies to provide the same or better outcomes as the leading traditional hydroquinone and retinoid-based regimens. Both products in the system, MelanoLyte Tx and MelanoLyte Pigment Perfecting Serum, are kojic acid-free and hydroquinone-free so you won’t experience irritation common with these ingredients. If it’s time to cycle off your current medically-directed dark spot regimen, the MelanoLyte Skin Brightening System is a safe and gentle way to help pick up where your other skin care product left off. The System can be substituted short-term or permanently in place of other medically directed product options to help you maintain results and prevent rebound. Because the MelanoLyte Skin Brightening System is made up of only two products, it’s simple to incorporate into your regular Epionce regimen. For best results, apply MelanoLyte Tx after cleansing in the morning and evening. 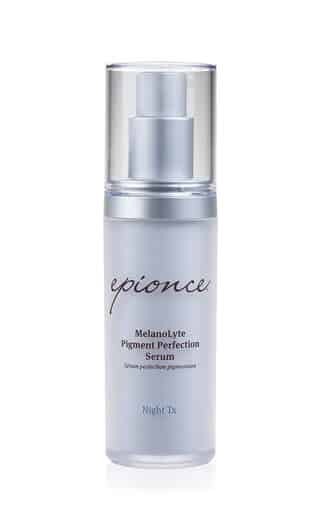 Use MelanoLyte Pigment Perfecting Serum as a night serum prior to your MelanoLyte Tx product. Always finish with a Renewal Facial product and sunscreen. Sensitivity to ultraviolet light or irritation from long-term use is not a risk with MelanoLyte Skin Brightening System. Because MelanoLyte Skin Brightening System products are created with specific, clinically-proven botanical ingredients, there is no need to stop using the regimen during the summer or after a certain length of time. This means better long-term, visible improvement in the appearance of dark spots. Professional procedures like chemical peel or laser treatments can aggravate dark spots. If you have an appointment scheduled, use both products several weeks before the procedure to prepare the skin. The MelanoLyte Skin Brightening System can be applied after the skin barrier has healed following a professional procedure. Consult with your professional as to when this is right for your skin. 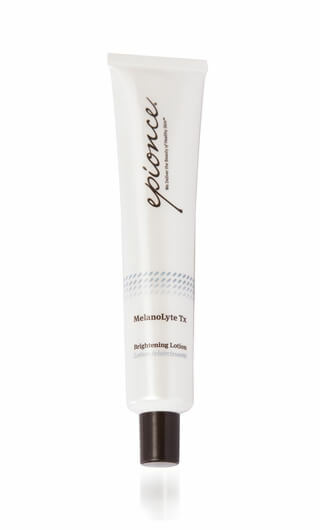 To learn how to incorporate MelanoLyte Skin Brightening System into your skin care regimen, talk to your Epionce Professional.